​Tottenham defender Toby Alderweireld has revealed his excitement at the prospect of playing at the club's new stadium this season amid reports that they could host the Champions League quarter final there. After beating Borussia Dortmund 4-0 on aggregate in the round of 16, Spurs manager Mauricio Pochettino claimed that he expected the club to play the next round of the European competition at the new stadium, and that chairman Daniel Levy was 'very positive' about it. 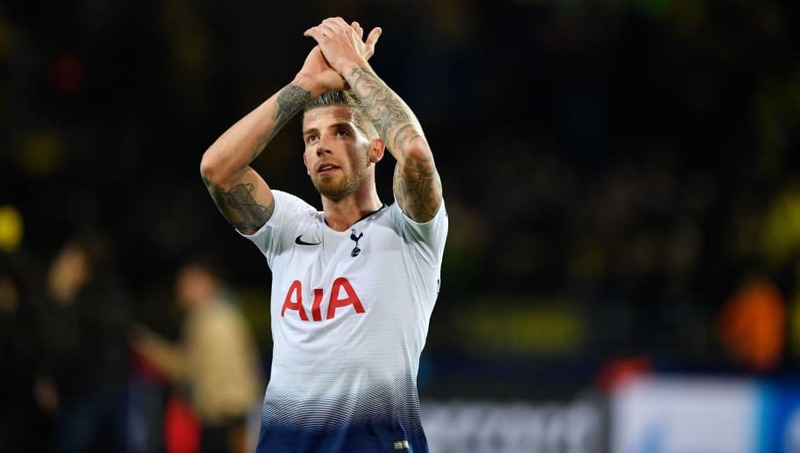 Belgium international ​Alderweireld, who was part of the ​Spurs back-line that kept Dortmund's attackers at bay at the Westfalenstadion on Tuesday night, insisted that despite the side's lack of familiarity with the new stadium, it would immediately feel like home. He told the ​Evening Standard: "Even if we’ve never played there, it’s going to be our home. “We did well at Wembley but to make it our home was difficult. Sometimes the stadium wasn’t full because there was a maximum [attendance cap] as well. The new stadium will be massive for us. “In the north London derby, even at Wembley, the atmosphere was incredible. Imagine that atmosphere at the new stadium. There will be no club in the world like this." Pochettino's side return to ​Premier League action at the weekend when they travel to St Mary's to take on Southampton.